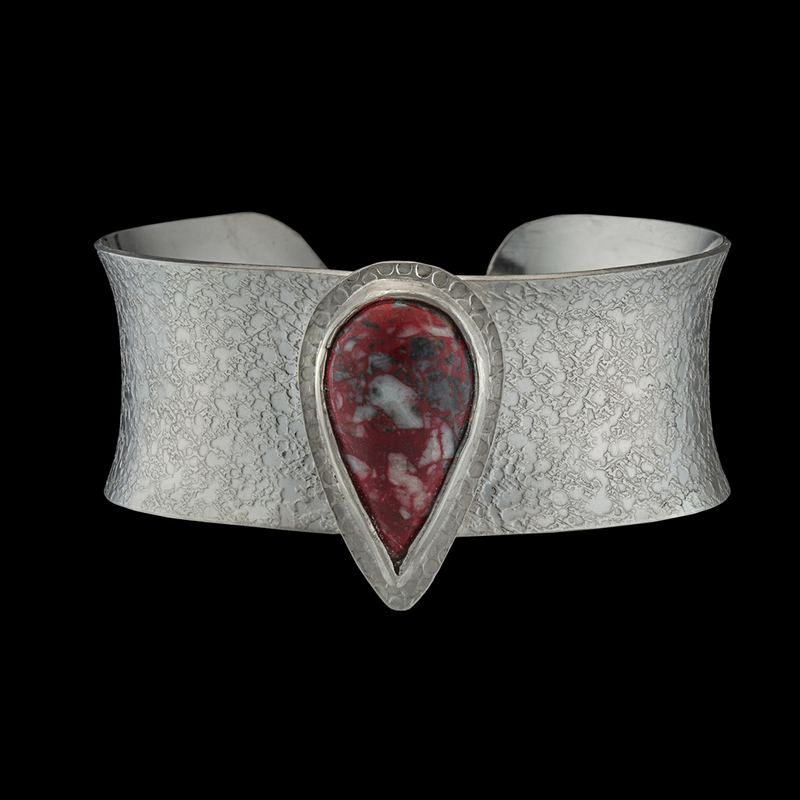 This bracelet features a beautiful red teardrop piece of cinnabar from a mine in Russia. The stone is set up on a backplate which allows it to float on the bracelet. It is placed on a Roller-printed piece of sterling silver which sparkles. Very unique.